Message: My main Man WB, Your an artist with power tools. Great Site and footage dude, keep rising to the top. Message: took a look at some of your work and very impressed.I hope to work with you in te near future. Message: Hey Welcome, just wanted to drop a message in the guestbook. Thanks for the chance at making your vids. Message: Great site-really enjoyed seeing examples of your work-very creative. Message: Keep it going. More picture on the site. Message: hola - love the site! Message: I DON'T KNOW IF I SAW THE WHOLE THING. MOM SAID I COULD SEE SOME OF YOUR CREATION. VIDEO STOP AFTER YOU PLACED THE 3 YELLOW CUTTER ON THE ROUND WOOD IS THAT IT? LET ME KNOW WHEN I CAN SEE SOME MORE OF YOU. MISS YOU. 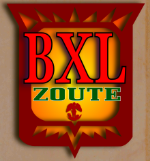 Message: Hi Welcome, magnificent work and creativity. I am impressed by your craftmanship with so many mediums. Keep it up! 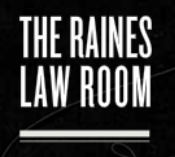 Can't wait to check out Raines Law Room. p.s. don't give away all of your techniques on the site-you need to keep the wonder alive.